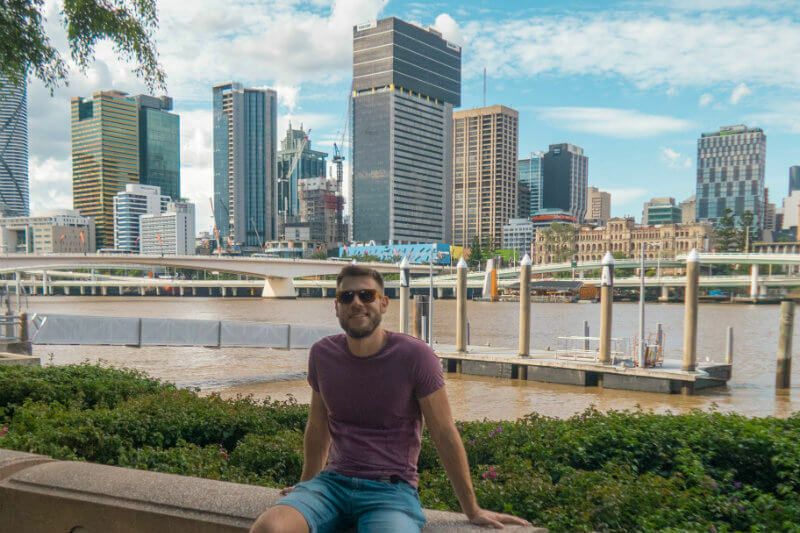 This week, we want to introduce you to Christopher Dodd aka ‘Chris the Freelancer’. 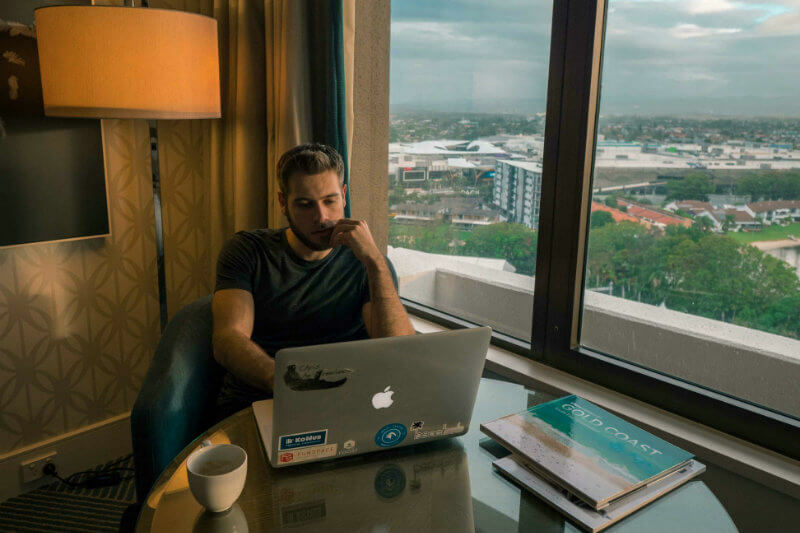 Chris is a location independent freelancer who inspires businesses and individuals to embrace the location independent lifestyle through his Blog, Podcast and YouTube channel. Enjoy! Growing up in Brisbane, Australia, I was always into doing creative things, whether that was making videos, playing instruments or building websites. Up until my late teens, despite often travelling 2-4 times a year with family, I used to like being in the comfort of home and wasn’t too interested in being in different places. Then in 2014, I did a study abroad experience in the US that changed things for me. I was already warming up to the idea of travel but the 6 months abroad turned out to be so rewarding that I caught the proverbial ‘travel bug’. After returning home to finish my university studies, I dreamed of being able to travel again while still being able to have a “career”. In my final semester, I taught myself how to code and landed my first programming job before graduating from my Bachelors (in an unrelated field by the way). About 6 months after that, my girlfriend and I left Australia to go work remotely. For the next two years, I would travel across most of the major digital nomad destinations while working remotely and at the same time, documenting my journey through YouTube videos and blog articles. Nowadays, I split my time between creating content, web development and freelance video work, most of which is able to be done 100% location-independently. Talk us through how your business as Chris the Freelancer first came to life. Even though it produces income, I still don’t think of Chris the Freelancer as a business. It’s more a personal project of mine to cover a topic that I’m passionate about. It started out just on YouTube but then I expanded into blog content and podcasting about 6 months into my travels. I also keep in touch with my audience via Email, Facebook and Instagram. Is running Chris the Freelancer everything you thought it would be when you first started? I never had any expectations but what I tried to do was produce the content that I wish existed when I started. Especially on YouTube, there is little content on this subject so I was excited to fill the gap. I guess, I couldn’t have expected how it all turned out. I just focused on the mission and the rest just naturally came up. 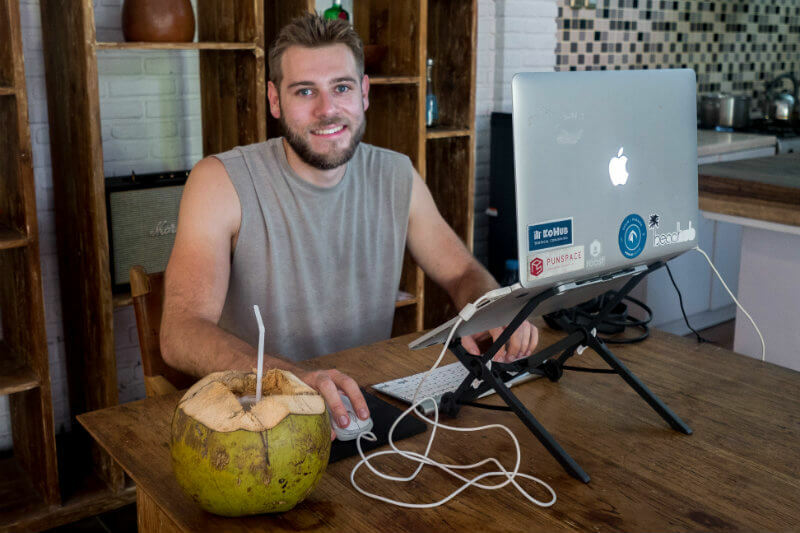 What has been your biggest challenge in starting a business in the digital nomad industry? The industry is small. It’s very hard to make a living catering to only ‘digital nomads’. Nomad List has been successful but I’ve found that the opportunity is more in helping people to live and work remotely rather than catering to existing nomads. Nothing. I have zero regrets. In life, you often only learn by doing and make the best decision that you could at the time. Haha that’s easy! When you work for yourself, you don’t get paid if you slack off. That’s all the motivation I need. As for my creative stuff, I’m just simply inspired. I do it because I want to and often, I don’t even consider it work. I just take the time. Sometimes your head just needs some time to breathe. Allow yourself to ‘meditate’ on it. List what’s bothering you and come up with a plan to sort it out. Is there anyone in your industry that you look up to or who has helped you get to where you are today? Pieter Levels provided that initial inspiration but now, I’m more inspired by other content creators. Unfortunately, there aren’t many in my particular niche of digital nomads. I encourage more people to come into it though. Not understanding my audience/target market. 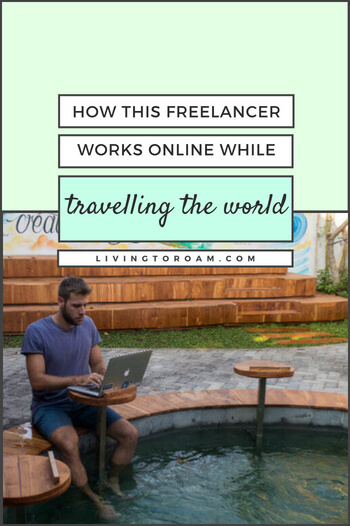 My intention with ‘Chris the Freelancer’ was to create almost like a travel channel for digital nomads but as the channel grew, I realised that the great majority of viewers weren’t working online and travelling just yet. Now I try to provide more support to those people rather than travelling to new destinations and covering them in-depth. I’m just a creative dude really and in order to express myself fully, I need a certain level of freedom. For others seeking more freedom in their life, I mean, it’s different based on what kind of freedoms you’re trying to achieve. My approach would be to just list off the things that you feel are holding you back and come up with an action plan to tackle each of those points. You might find that some of the things that hold you back are just excuses and the rest you can just figure out a plan to fix. Chiang Mai, Thailand. It’s the best in terms of the combination between cost, convenience, internet availability and safety. It differs but I like to keep a pretty standard 9-to-5 schedule. I start the day with my morning routine, then I get into my emails and messages. Once emails and messages (for my brand) are done for the day, I don’t check them again until the next day and then get to work on whatever projects I have on at the time. I take breaks around mid-morning and lunch and try to stop work by dinner time. Timezones. It’s part of the reason why I’m less tempted to spend time outside of Asia/Australia this year. I’d say, I like being able to choose where I work. 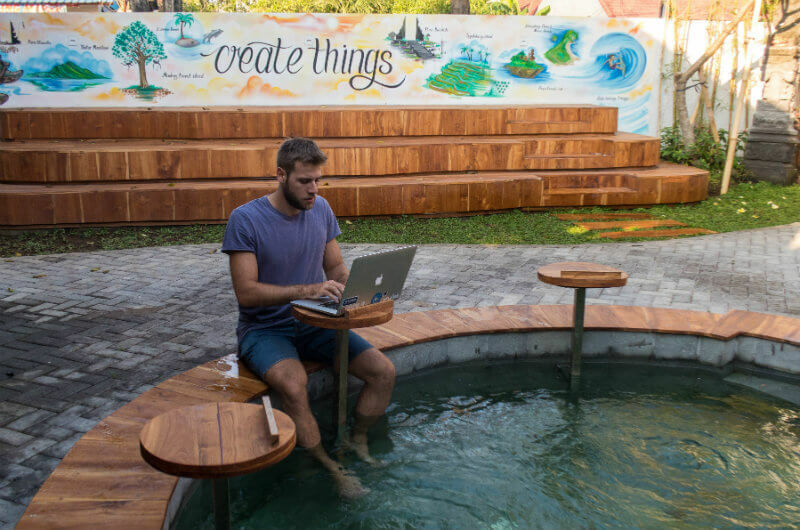 Part of the reason why I travel to the ‘digital nomad hotspots’ is that I get to work from really cool coworking spaces and depending on the city, cool cafes as well. If your business journey was a Hollywood movie, what genre would it be, and who would you want playing yourself and why? Adventure, I guess. I would hope that Chris Hemsworth would play my role but honestly, I don’t think anyone does a better job at being me other than me, haha. Lastly, where we can we go to find out more about you? My mission at Chris the Freelancer is to be a resource for people who want to work remotely and travel. Have any questions about Chris’ journey as a location independent freelancer? Pop them in the comments below!